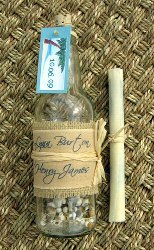 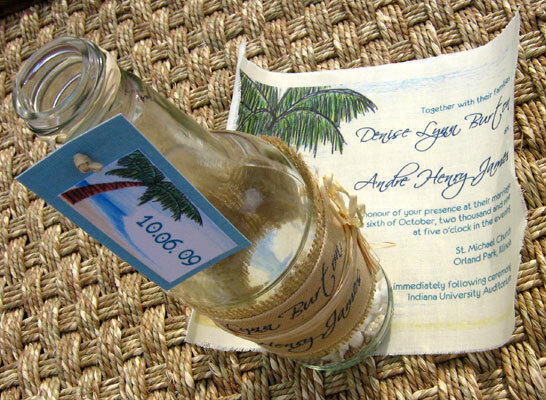 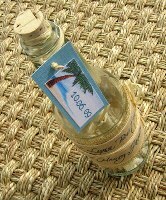 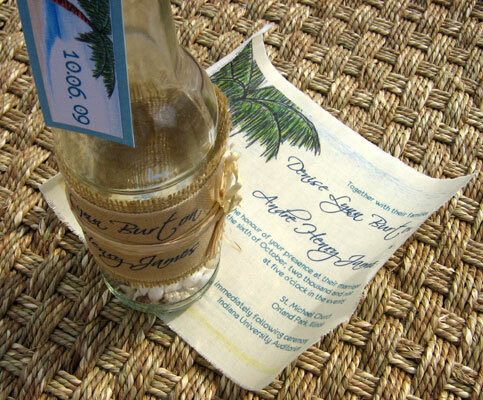 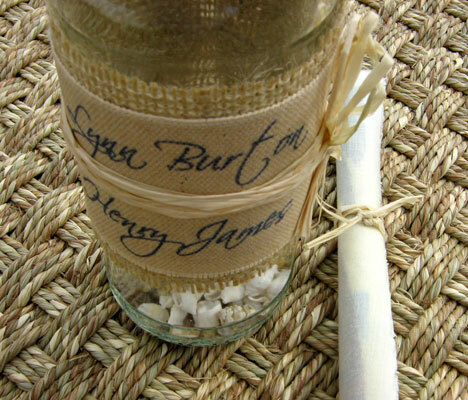 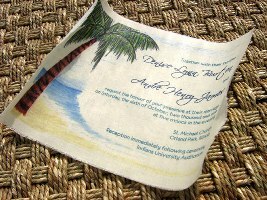 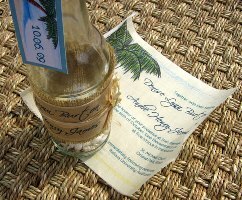 Make a splash with this invitation idea inspired by a message in a bottle theme. 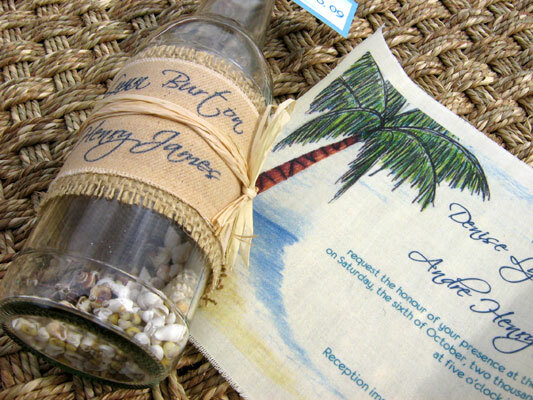 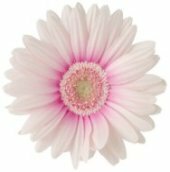 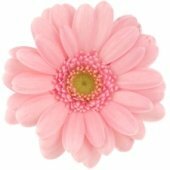 This is a perfect idea for a beach, tropical or summer time wedding. 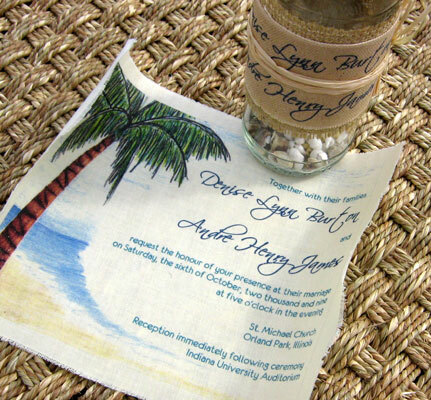 We combined a white cloth scroll, handpainted images of palm tree and beach scene, sea shells and sand to create this one of a kind piece. A corked bottle embelished with burlap, a rafia tie and a tag finishes the fun and carefree design that's sure to be a hit.